Save $50 on family portrait sessions before Christmas 2018! We’re all looking for gifts for loved ones at this time of year, and a beautiful set of family images is the perfect present. We will spend up to one hour with the recipient, at a location of their choice in Sydney or Canberra and provide 20 high-resolution, bright, beautiful images that are perfect for print or sharing from our online gallery. Only $350 (normally $400) Contact Us to arrange in time for Christmas! 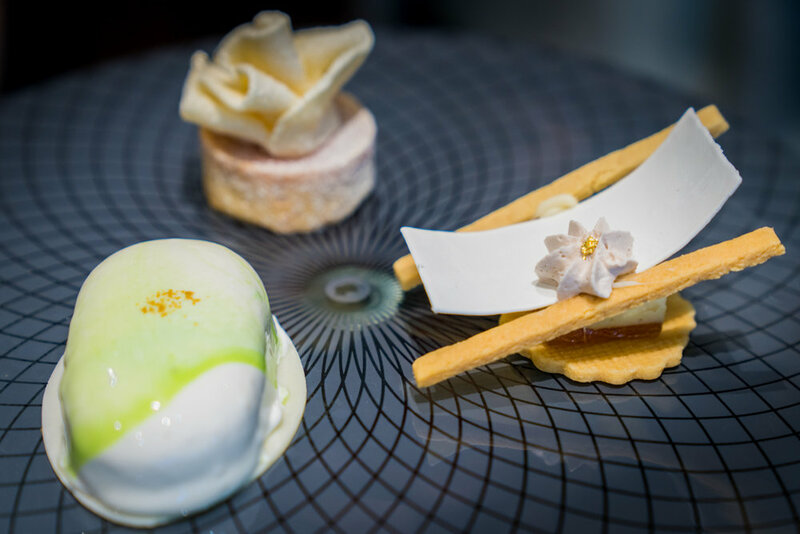 Five Luxury Hotels and five themed menu items. 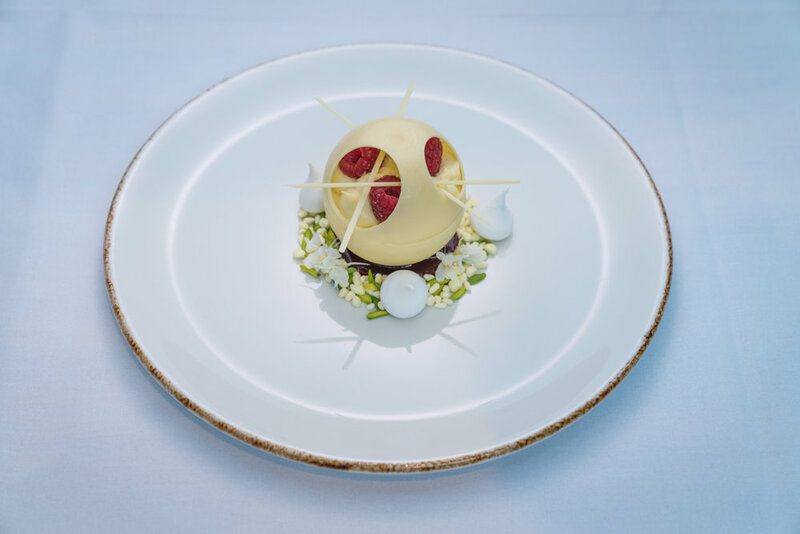 This was the brief for a busy day of photography in early October, as we traveled across Sydney’s Central Business District to capture some incredible Diner-en-Blanc-themed dishes from Sydney’s leading luxury hotels. 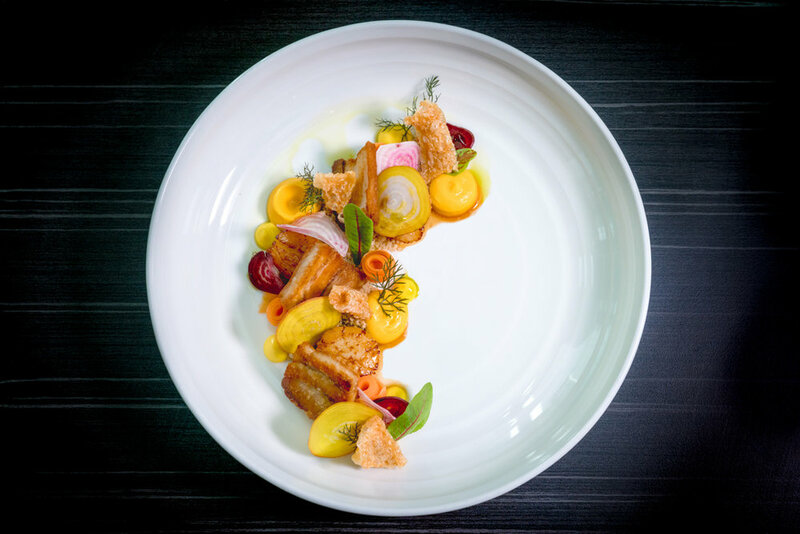 It was a fun challenge for the RGB Collective team, and provided us with a small insight into the world of top chefs. More images and the press release can be found here and in other publications! 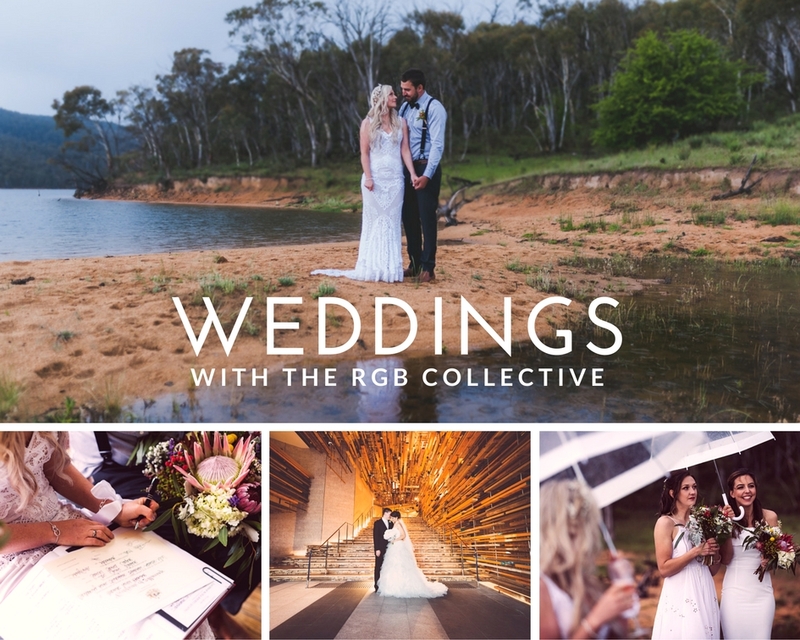 RGB Collective has your wedding day covered. Whether an intimate gathering in a park or an elaborate black-tie affair, we offer relaxed, unobtrusive photography and film coverage that will delight your family and friends. We are now booked out for 2018 dates!! Thank you everyone for your support. You can still reserve a wedding photography package with us for any date before 30 June 2019, for a discounted price of $3800, or combined price for photo and film of only $5,000 (incl GST). Book before 30 November 2018. - Both films will be provided via online download link and personalised USB drive. To get in touch with us or find out more, simply complete our wedding enquiry form. On a glorious Sydney winter's day, we were fortunate enough to have captured Renee and Mark's intimate wedding at Copes Lookout in Kirribilli. The location was picture perfect with the Sydney Opera House and Harbour Bridge providing the backdrop for the ceremony. We were greeted with blue skies and sunshine well in to the afternoon. After the ceremony, we took portraits around the foot of the Harbour Bridge, Luna Park and the Wendy Whiteley Secret Garden before hopping on a ferry back to the Opera House. Thank you Renee and Mark for allowing us to capture your special day! Earlier this month, we visited the team at The Social Room to create a short, sharp social media campaign video. Our aim was to highlight their excellent food, high quality coffee and good vibes. Thanks to the team at the Social Room for the fun collab (and yummy food). If you like this video and want to work with us to create something special for your business, check out www.rgbcollective.com.au and get in touch. We would love to hear from you! Stef from RGB Collective was busy in June, filming a promotional video for Akvo.org's regional Southeast Asia and Pacific hub. Check it out below! The regional team at Akvo.org offer a combination of tools, services, local expertise and sector knowledge to improve the management of agriculture, water, sanitation, education and disaster response. They help their partners to implement development projects and make decisions using data in order to accelerate the progress of the sustainable development goals. We have a varied range of clients at RGB Collective; last year Jonathan travelled to Singapore to photograph the new development 'The Tembusu'. Named for the evergreen tree, The Tembusu was designed by Arc Studio + Tierra Design. Consisting of three superblock towers, this high density development has an incredible sense of space and light, thanks to the greenery that continues up the towers, and the interconnected sky bridges. All birthdays are worth celebrating but not all of us are lucky enough to have a big first birthday party. Luckily for little Liya, her family threw a delightful afternoon party with friends and family at Athol Hall in Mosman. RGB Collective was there to capture some special moments for this gorgeous family. Without a doubt, the wedding of these two beautiful people from Canberra was such a special event to film and photograph. These guys poured so much time, love and sweat (literally) into this wedding, designing, creating and building to create the perfect experience for their friends and family. Set against the breathtaking Lake Jindabyne, the property of Lake Jindabyne Estate is an incredible venue of rolling hills and sweeping views across the Snowy Mountains. There were challenges on the day for sure; baking sun gave way to pouring rain, but spirits remained high, and love conquered the weather. There was even time to ride a vintage truck around and feed the cows as you'll see below. Thank you Sam & Zoe for having us for your special day. Family Portrait Sessions - $50 Off! Thank you to all our followers for so much attention when we launched our facebook page last week! We received over 150 likes in 48 hours! 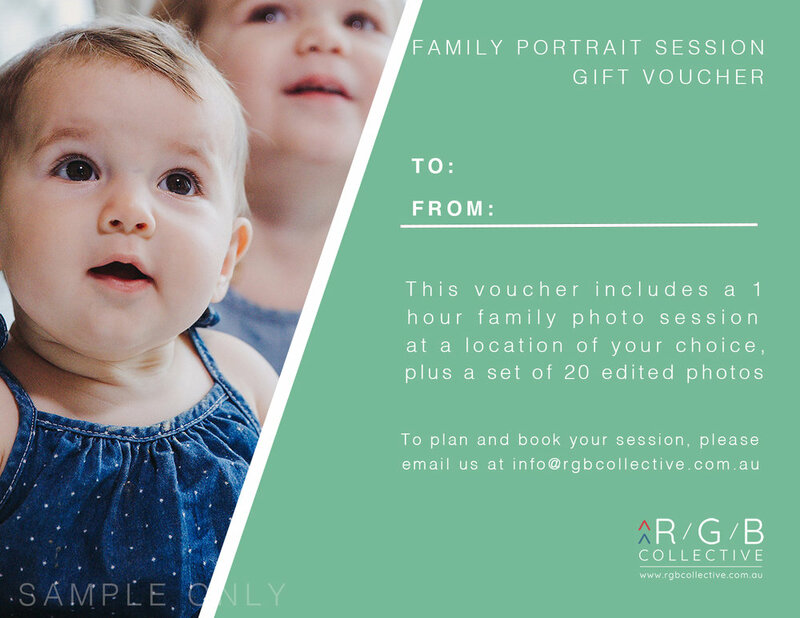 To celebrate, we're offering one of five family portrait sessions in Canberra or Sydney for $350! (Normally $400). This would make a wonderful gift, or a treat for your own family. 15-20 high-resolution photographs provided in a downloadable online gallery. Check out some of our photogenic clients here, and contact us to redeem this offer now! There are waterfront wedding venues, and then there are waterfront wedding venues. Lake Jindabyne Estate falls into the latter category. With uninterrupted 180 degree views across Lake Jindabyne in the Snowy Mountains, our collective jaws dropped when we arrived to document the wedding of Sam and Zoe. We worked with Sally and Gordon who own the property to create the below video; although this was the first wedding they hosted, they couldn't have been more attentive, professional and helpful for the bride and groom, making for a flawless wedding. The Kammerphilharmonie Köln performed an incredible concert of Vivaldi, Tchaikovsky, Paganini and more in Sydney last weekend, and RGB Collective was on hand to capture photos and video. Congratulations to Zeichen Music and Events and the German Consulate General Sydney on bringing this outstanding group to Australia. a personalised USB stick consisting of the final images. both films will be provided via online download link and personalised USB drive. To take advantage of this great value offer, email us at info@rgbcollective.com.au or fill out the contact form and book before March 31 2018. Valid for weddings from 1/3/18 - 31/12/18. Visit our weddings portfolio page to see examples of our work and learn more about our approach to weddings. We had a joyous time photographing Lia's delightful kids, M+S. Rolling around on the floor like big kids is all part of the experience, and smiles all-round were the order of the day. We're always involved in a wide range of projects at RGB Collective, and as well as being a super photographer and human rights law all-star, Khanh often reviews venues for The Plus Ones. 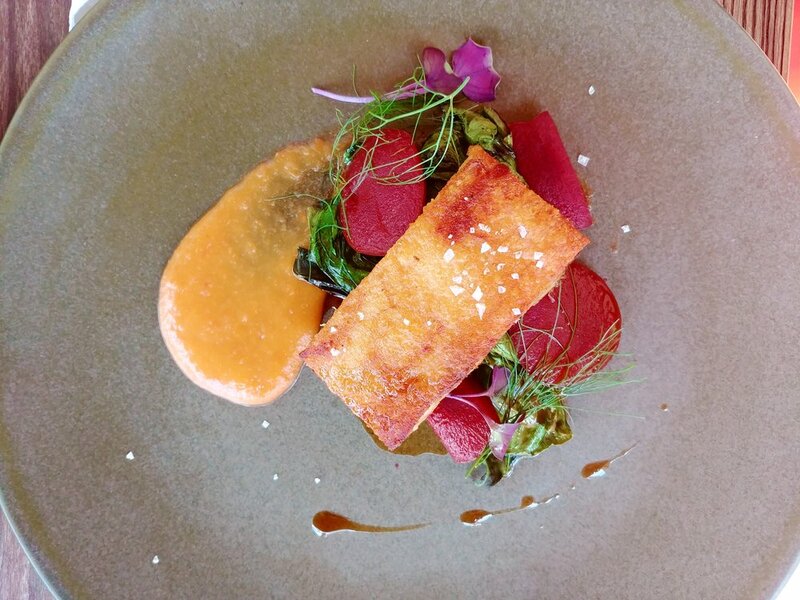 Check out his thoughts and images from the new Bellbird Dining+Bar in Sydney; you can read the full review here.